The Energy Research division conducts approximately two-thirds of the Bureau research effort, and hosts approximately 70 full-time and 15 part-time researchers. It employs or provides academic advising to approximately 50 graduate students. The Energy division focuses on research involving energy resources, primarily oil and natural gas. Seven industrial research consortia pursue basic research on issues of significant importance to their corporate sponsors. Additional support is provided through numerous sponsored research projects funded by the State of Texas, the U.S. Department of Energy, individual energy companies, and foundations. Energy Research receives support (funding and/or datasets) from some 70 energy companies, and corporate university grant programs provide access to all of the industry-standard interpretation software packages. 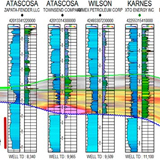 Main areas of focus include salt tectonics, carbonate, shale, and clastic reservoir characterization, mudrock systems, fracture characterization and prediction, multicomponent seismic applications, advanced seismic processing and imaging, oil and gas risk reduction in Texas, geothermal energy in Texas, and energy economics. 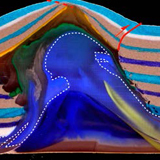 Energy Research is heavily engaged in research that supports the remarkably successful development of unconventional oil and gas reservoirs (shales, tight carbonates and sandstones). 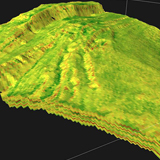 Its researchers are noted for bringing insight from direct rock observation (model development based on outcrops and cores) to the rapidly-evolving field of 3-D quantitative analysis of sedimentary rock properties. With 70% of in-place reserves typically remaining in the ground at the time of oil field abandonment, this research has enduring economic and societal importance. 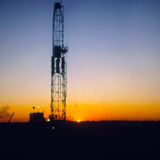 The Permian Basin is one of the most prolific oil and gas provinces in the world. 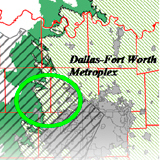 The Bureau of Economic Geology has studied its multiple hydrocarbon-producing formations for many decades, and hosts a renowned group of researchers with deep expertise in the energy, environmental and economic implications of oil and natural gas production from this vast region. Research which benefits the successful exploitation of the State of Texas’ energy resources. 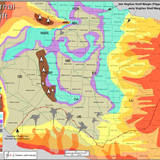 Studies include the unconventional reservoirs of the Barnett, Eagle Ford and Haynesville plays and the Permian Basin, conventional reservoirs throughout the state, and geothermal energy analysis and mapping, among other areas of study. 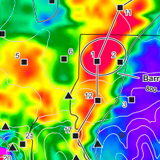 Structural geology is the theme for two well-known research teams at the Bureau. The Applied Geodynamics Lab (AGL) investigates all aspects of salt tectonics, and the Fracture Research and Applications Consortium (FRAC) is dedicated to solving fundamental and practical problems associated with brittle deformation - primarily natural fractures and faults. 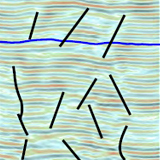 Bureau reservoir characterization methodology consists of determining reservoir architecture, establishing fluid-flow trends, constructing reservoir models, and identifying reserve growth potential. Research spans multiple reservoir types, including carbonates and siliclastics; tight, waterdrive, and retrograde gas condensate; and waterdrive oil, secondary oil recovery, heavy oil, and light oil. The Bureau’s Advanced Energy Consortium has reservoir characterization through the use of nano-technology as one of its key research thrusts. The Bureau has long-standing strengths in oil and gas reservoir studies. Carbonate reservoirs are the focus of the Reservoir Characterization Research Laboratory (RCRL). Clastic reservoirs – primarily sandstones – are the subject of in-depth research in the Quantitative Clastics Laboratory (QCL). The Mudrock Systems Research Laboratory (MSRL) works on fundamental problems in shale reservoirs, including reservoir quality prediction. Deeply buried sandstones are the target for the Deep Reservoir Quality Gulf of Mexico Consortium, which emphasizes sandstone petrography. Geophysics research at the Bureau concentrates on developing multicomponent seismic technology that can be used to better characterize geologic systems. 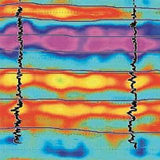 Research effort focuses on design of vector seismic sources, optimization of data-acquisition and data-processing procedures, and unified interpretation of P- and S-wave images. Research also addresses the most important and challenging research problems in computational geophysics as experienced by the energy industry while educating the next generation of research geophysicists and computational scientists. 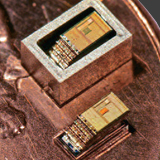 The Bureau leads a large, multi-institutional consortium that conducts pre-competitive research in micro- and nanotechnology materials and sensors that have the potential to create a positive and disruptive change in the recovery of petroleum and natural gas from new and existing reservoirs. 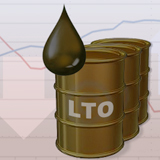 The study of energy markets (oil; natural gas; electricity; power storage) leading to economic projections which inform decision-makers in industry and government.